What’s Behind Slowing SaaS Startup Creation? Editor’s Morning Note: SaaS startup formation is down as costs rise and the easy stuff has already been done well. A few months back, Redpoint’s Tomasz Tunguz wrote a short piece discussing the slowing pace of SaaS startup formation. 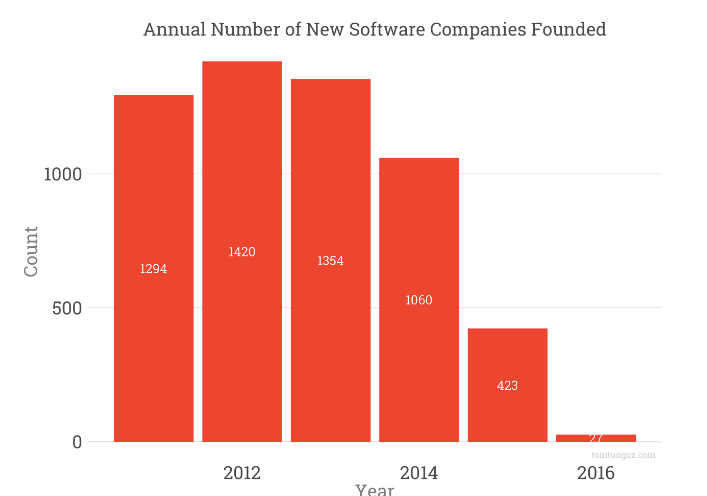 After years of four-figure starts, the number of new startups building software fell dramatically in 2015, according to Tunguz’s analysis. 2016 isn’t looking much better, if not worse. To back his own synthesis, Tunguz leaned on Pitchbook’s Mikey Tom, who provided a similar data set. With minor differences, the two charts tell the same story: Creation of venture-backed software startups with SaaS business models is in rapid decline after a multiyear period of growth1. Given the ascendancy of SaaS as the normative business model for startups today, including a host of successful firms, it’s a surprising trend. The above charts do mirror to some extent our prior notes on the broader venture capital market’s slowing round volume over time, but the SaaS trend is far steeper than the aggregate technology sector’s own curve. SaaS is undergoing a different sort of shift. Previously on Mattermark, two of Sapphire Ventures’ workers wrote “The SaaS Gold Rush,” exploring two key topics: Rising late-stage investment into software startups coupled to falling exits and declining capital efficiency among SaaS companies. It was worth ruminating on at the time, and I think it is increasingly relevant. The trends that they both outlined aren’t going away. Naturally, as it becomes increasingly hard to build SaaS companies for any reason, that information should impact the market, and reduce formation rates as the implied odds of success—and therefore potential return, impacting any cost-benefit analysis—decline. We’re seeing that. But there’s more to the picture. A few days ago Justin jackson wrote an interesting piece entitled “SaaS is ripe for disruption.” He asked a simple question: “Are we at peak SaaS?2” The answer is probably no, as the article notes that SaaS spend as a portion of software is only approaching 30 percent. That figure will rise. SaaS is a great way to sell software. After SaaS was established in the market, it was applied to a number of broad product categories. Those early companies are now often public, having done well as SaaS shops. There are now thousands and thousands of SaaS companies. As those firms compete in increasingly niche areas—the inverse of point 2— sales costs can increase. Declining economic luster among SaaS companies—the result of point 5— and weak exits have constrained implied returns for both founders and investors alike. This is all an interesting lesson in cost structures relating to rising competition. Homework: The above also applies in the micro sense to consumer avoidance of new recurring payments for products like Netflix. 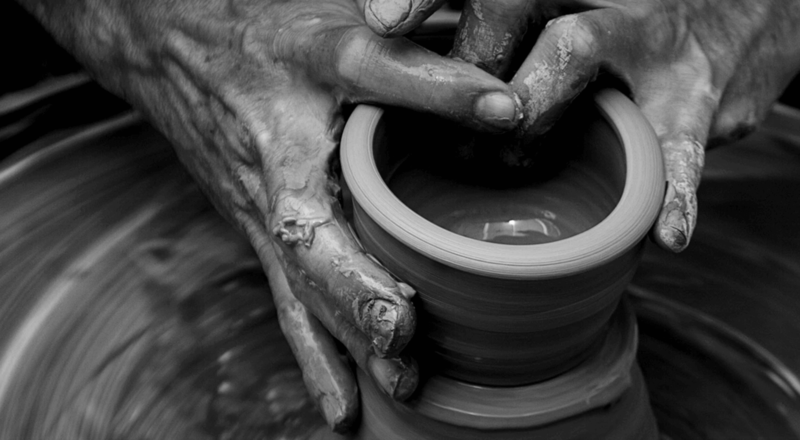 How are the consumer and enterprise sectors alike but also fundamentally different? Email me. There are companies born today to build and sell software that intend to not vend their wares on a recurring basis; however, they are the minority. Therefore, the SaaS market is likely the best barometer for the startup software market as a whole. Also, I can’t recall the last time I had coffee with a VC and they extolled the virtues of lifetime license software sales. We’re also at Peak App according to Walt, and markets are at all-time highs. Peak everything? Ecclesiastes 1:2, etc.